While nothing compares to our childhood Sunday Supper memories feasting on pastitsio at Yi and Papou’s house, I will always value the Sunday tradition of slowing down and enjoying a cozy meal. With a fire going, Shiloh nestled on the couch, and snowflakes falling outside, I am usually inspired to make a comforting stew, chili, or soup. Coining the day, “Soup Sunday”, I often seek whatever I have in my pantry to add to a bubbling caldron. 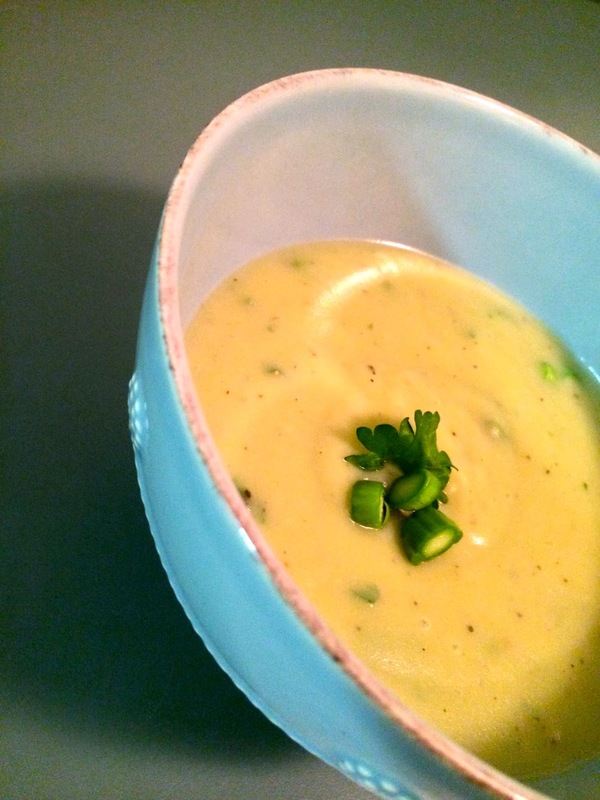 To showcase my Irish side this past Sunday, I opted for a classic, velvety smooth potato and leek soup. 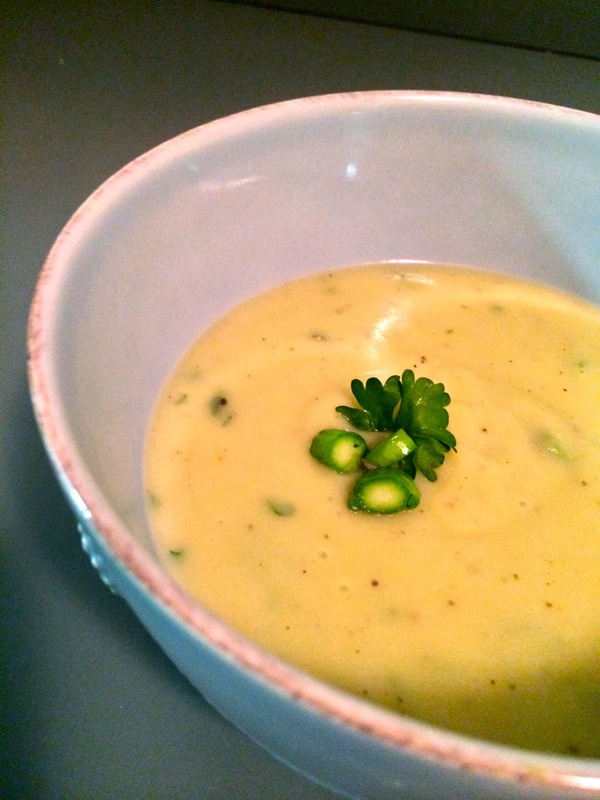 To add a little texture and pop of green to the pureed soup, I sprinkled chopped asparagus on top. In a dutch oven, heat the butter and EVOO on medium-high and add the leeks. Saute until the leeks are soft, about 7 minutes. Stir in the potatoes, garlic, cayenne pepper and saute for an additional minute. Season with salt and pepper. Add the Bay leaf and chicken broth. Cover and simmer until the potatoes are fork-tender, about 20 minutes. In batches, puree the soup in a blender (an immersion blender would also work). After the soup is pureed, reduce the heat to low, and return the mixture back to the pot. Stir in the parsley and more salt and pepper to taste. Ladle the soup into bowls and top with a sprinkle of diced asparagus, a dollop of creme fraiche or sour cream, and a hunk of your favorite artisan bread. Serves 4-6.